New to UCAN and want to try it all? Our Starter Packs offer a variety of products for athletes and active people who are keen to have their first UCAN experience. A smart fueling strategy is key to athletic performance. Our UCAN Performance Starter Pack features powders and bars for steady energy powered by SuperStarch®, and our Hydrate electrolyte replacement with no sugar. 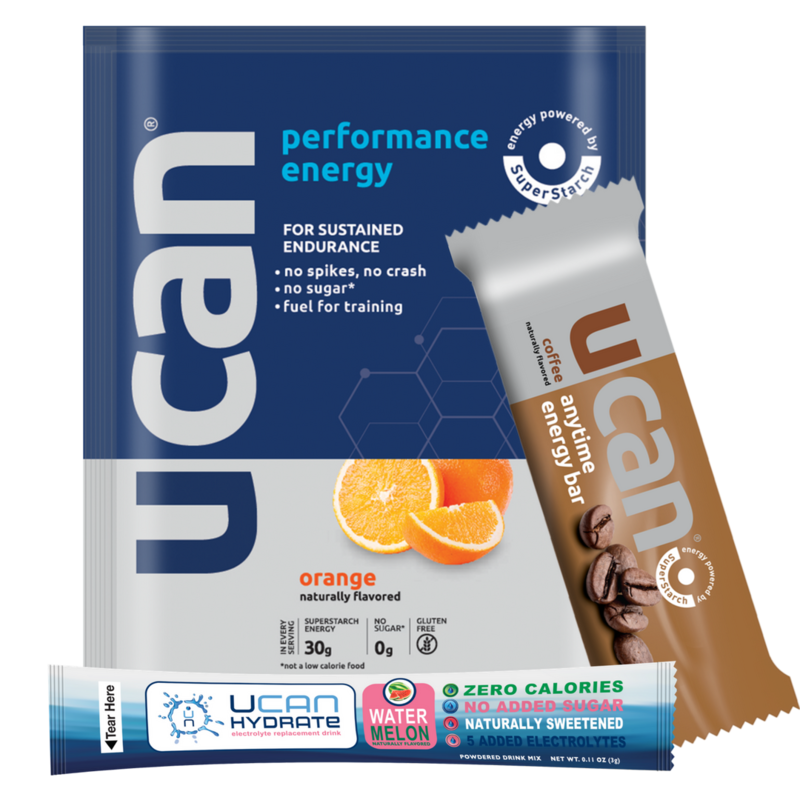 UCAN gives you sustained energy for training and competition and helps you avoid the spike & crash of sugar-based sports nutrition. Try the full variety of UCAN products! A smart fueling strategy is key to athletic performance. Our UCAN Performance Starter Pack features powders and bars for steady energy powered by SuperStarch®, and our Hydrate electrolyte replacement with no sugar. 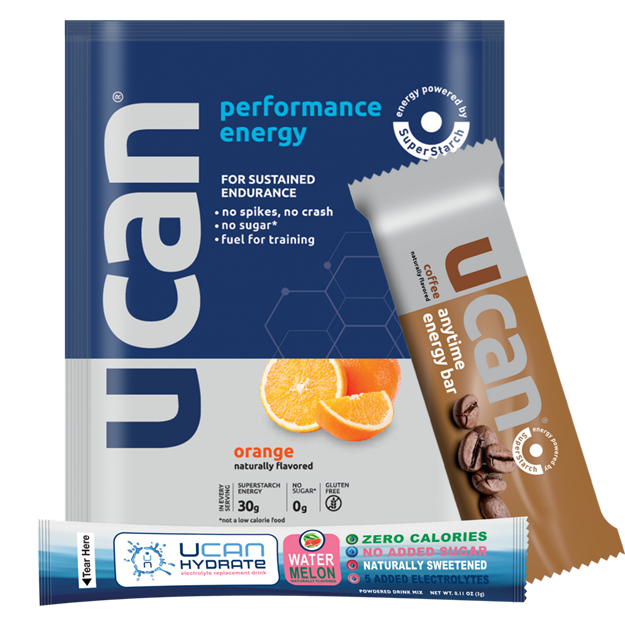 UCAN gives you sustained energy for training and competition and helps you avoid the spike & crash of sugar-based sports nutrition. Try the full variety of UCAN products! And – 15% once-off discount on your next UCAN product order! UCAN drink mixes are powered by SuperStarch, a slow-releasing carbohydrate that delivers steady, long-lasting energy without sugar. Try UCAN pre & post workout for long-lasting energy, between meals to curb cravings, and as part of a healthy shake for extended satiety. UCAN drink mixes have no sugar, added electrolytes, and are gluten-free. UCAN Hydrate is a clean, natural electrolyte replacement with no sugar, zero calories and 5 essential electrolytes, to keep you hydrated the healthy way.